April 19, 2016 / lisa / Comments Off on We’ve moved! 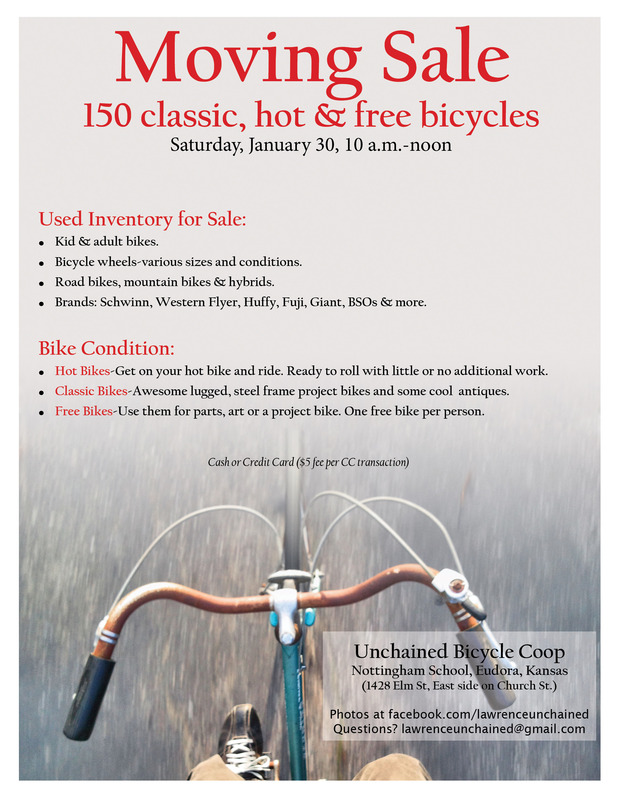 Thanks to everyone who came out to our bike Bike Sale at the end of January. We sold a ton of bikes, donated a bunch more to the Lyons Club, and with a light load of bikes and heavy hearts, we left Eudora for Lawrence. We are currently in warehouse space in Warehouse Arts district in East Lawrence, near 9th and Delaware Streets. We don’t have open shop hours due to the nature of the space we’re in and current zoning, but we are happy to invite you in to see us with an appointment. Keep track of us on Facebook and here for updates.